Redskins player Montae Nicholson is accused of assaulting a man in Ashburn, Virginia. 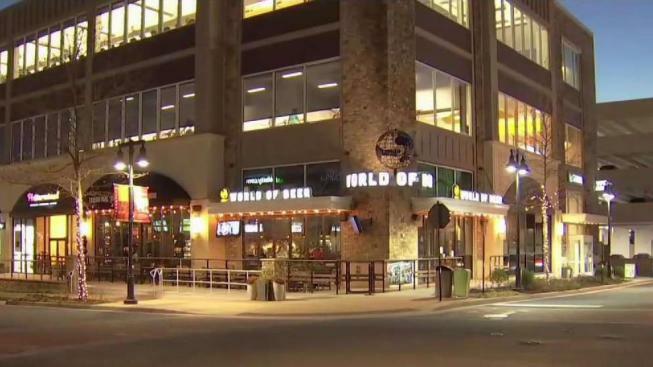 A witness told News4's Shomari Stone that Nicholson was calm but his friend was "causing trouble" inside the bar World of Beer. Washington Redskins player Montae Nicholson is accused of assaulting a man early Tuesday in Loudoun County, Virginia, the sheriff's office says. Nicholson, 23, was charged with assault and battery, and drunk in public. A woman he was with, 24-year-old Sydney Maggiore, also was charged. The Redskins are aware of Nicholson's arrest, team spokesman Tony Wyllie said. "We are gathering more information and will not comment until we have further details," he said in a statement. According to the sheriff's office, deputies responded to a report of a fight at the One Loudoun shopping center in Ashburn just before 2 a.m. Tuesday. They found two victims in the 20400 block of Exchange Street outside the World of Beer restaurant. They said a man and woman assaulted them. An investigation determined that Nicholson assaulted the man, and Maggiore hit the woman with a bottle and assaulted the man as well, the sheriff's office said. The Redskins player and woman left the area and returned while deputies were still there. One of the victims said the trouble started when Nicholson and Maggiore "pulled up in a vehicle and honked the horn at them." An argument escalated to physical violence. It wasn't clear if Nicholson and Maggiore knew the victims. Nicholson was held at the Loudoun County jail on $2,500 bond. Maggiore was charged with assault and battery, and malicious wounding, and held at the jail on no bond. The victims were taken to a hospital for serious but non-life-threatening injuries. Nicholson is a second-year safety with a contract worth more than $3 million.